Service Fusion is a software designed for managing field service processes. It also provides users with GPS fleet tracking, job order management, dispatching, and scheduling. In this article, we covered user reviews and pricing. 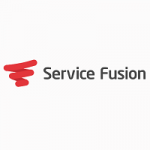 Ready to get started with Service Fusion? Request a demo. Users who gave Service Fusion a positive review commended its ease of use, customizability, and responsive customer support team. They also said that it centralizes their workflows using the invoicing, document management, and customer management tools. Users who gave Service Fusion a negative review complained about data synchronization issues with QuickBooks. Some users also reported glitches when editing information in the equipment lists. They also suggested improvements in its inventory management. One user who gave Service Fusion a negative review on Software Advice said that it should improve the synchronization between the app and their QuickBooks account. He also added that the inventory management tool should have an option to select default warehouse locations so that they can track equipment more accurately. Service Fusion offers three paid subscription plans: Starter ($99/month), Starter+ ($199/month), and Pro ($349/month). The main difference between the plans is the availability of premium features such as job costing, inventory management, automated voice notifications, and integrated calling. The software also offers additional features at an extra cost: Inventory Management ($50/month), Job Costing ($60/month), Custom Documents Module ($40/month), Customer Web Portal ($50/month), Customer-Facing Mobile App ($689 setup fee + $65/month), and Integrated Voice Calling ($60/month). Ready to get started with Service Fusion? Request a demo. What types of payment transactions are accepted in the ServiceFusion platform? Service Fusion provides a fully integrated credit card payment processing platform which allows users to accept payments remotely. It also includes a payment gateway and data vault for secure storage of credit card information. How can Service Fusion help users with dispatching and scheduling tasks? Service Fusion enables users to manage dispatching and scheduling tasks using a visual scheduler with drag-and-drop functionalities for easier navigation. It also allows users to view jobs and estimates before assigning them to their employees. Users can also call and text their employees using the dispatch module for more efficient communication. Not sure if Service Fusion is the right fit for you? Read our reviews of all top field service management software or check out one of these three Service Fusion competitors. We have used Service Fusion for just over a year and its been a really great fir for us. The software is perfect for a company with field workers such as us. From the desktop view we are able to see all jobs, invoices, track documents for each client, and dispatch field workers. From the field worker app all the information is at your fingetips. Directions to the site, job description, relevant drawings, client contact info, and a lot more. Its been a fantastic solution of organizing our business. We love that the # of users is unlimited as some of our users are temporary or use the app rarely, so we dont have to be selective with who is allowed to access the system. And finally customer service is always great anytime we need any help with any custom solution. The app needs a little tweaking but its nothing major. All the core functionalities are perfect. The app does not have a natural flow and depending on what the admin allows the user to do some features override the others which can be a little frustrating. It would be great to see a home button on all screens instead of an edit button replacing the home button. And having admin privileges equivalent to the desktop site would be a huge help on the app. As an owner of the business im on my phone very often and away from the computer, it would be a huge help if i could manage my staff from the app or a mobile site(not available). There were no surprises once we signed up, the sales team is very clear of all the options of the software and are there to guide you once you sign up. We love Service Fusion! Easy to use; The support team takes my suggestions/requests and usually always implements them into the software; Has a smartphone app that works in conjunction, so a technician can update jobs, invoice jobs and much more straight from the field. Sometimes it runs slow; The technicians sometimes have problems posting credit card transactions in the field; The Service Fusion team should be a bit better at communicating with clients about updates/downtime. Make sure you find out exactly how all of the software works before you onboard with them! We had a lot of customer info and history to import from our old database. I wish I would have known how the software worked a little better as I would have put some info in different places when doing the import. Awesome customer service and support. Very helpful getting the program set up and operating. I have no complaints at this time. Anytime we have had an issue they were very fast to help us. Nothing. All information was freely shared with me by the sales staff. They excel at letting us customize and change Service Fusion for our needs, and helping us 1 on 1 with that need. How the integration with Quickbooks isn’t as seamless as other programs.